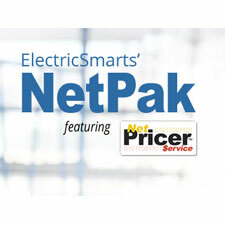 NetPricer™ Service connects Smart eCat or your Estimating Software to your Electrical Distributor for instant accurate Bid Pricing. Receive material pricing through the Internet in seconds. No faxing RFQs, waiting for a response, or re-keying data. Connect to your favorite distributors and get your unique negotiated pricing 24/7. Create more competitive bids and save valuable time. A searchable collection of always-current manufacturer catalogs in a single easy-to-use interface. Flip through pages, search by keyword or part number, and watch how-to videos or 3D product animations right on the pages. Print or save PDFs and pull part number level data right off the pages and into material lists that you can save or import into estimates. The only certified source of product data available in the electrical industry. Certified by IDEA, an association owned by your manufacturer and distributor trading partners, Smart eData includes all the detailed product information you need to do business; part numbers, descriptions, trade prices (3rd column), cut sheets, images and more. Great for product search, bids, download to estimating software, project management, purchasing, change-orders, and submittal packages. The Smart eCat+ Mobile App brings all the eCatalogs, Product Data, NetPricer pricing, and much more to your mobile tablet in the field. Search on a keyword or part number and pull up detailed product information including image and cut sheet. See the latest new product announcements and videos as they’re released to the market. The most comprehensive set of calculators in the industry. Easily calculate conductor sizing,- voltage drop, transformer ratings, and more; Unit Conversions for power, torque, and thermal expansion; and Industry Tables for max raceway fills, full load current motor ratings.